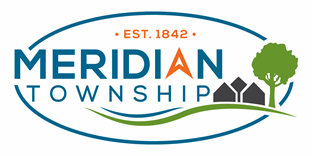 Meridian Township, MI – The Meridian Township Police Department has scheduled the 20th Annual Citizens’ Academy for residents, community members, and business people of Meridian and Williamstown Townships. Participants will meet from 6:30 pm to 9:30 pm every Thursday evening from September 6 through November 8, 2018, at the Meridian Township Public Safety Building. Lectures and active participation will give attendees the opportunity to gain knowledge about the criminal justice system and the Department’s role in the community. The program is free. Past participants have given overwhelming support for the Academy and found it valuable for gaining a better understanding of the importance of Police Officers in the community. If you have questions or wish to enroll in the Academy, please contact Sergeant Scott Dawson at 517.853.4800 or policeacademy@meridian.mi.us.